Sophia (30) has a steely look in her eyes as she insists on renting an old house in the remote countryside. She even gives the estate agent a little extra for no questions asked. Sophia collects a man at the train station. Michael Solomon (early 50s) is a northern, coarse man. And an occultist. She needs him to perform an ancient invocation ritual, the Abramelin, to summon up Sophia’s Guardian Angel so her wish can be granted. She wishes to talk to her murdered child, a desire that consumes her. The ritual is an extremely arduous one. They are to seal themselves in the house for months as it plays out. As they get deeper into the rite they run the risk of turning on each other, of going mad. But when Solomon finds out that Sophia has not been truthful about her wish, a greater danger threatens them. In the dark, they find that they are no longer alone in the house. They are now in the world of real angels, and real demons. The house is surrounded with a line of salt, it is the only protection they have. They must not cross it, no matter how bad it gets. 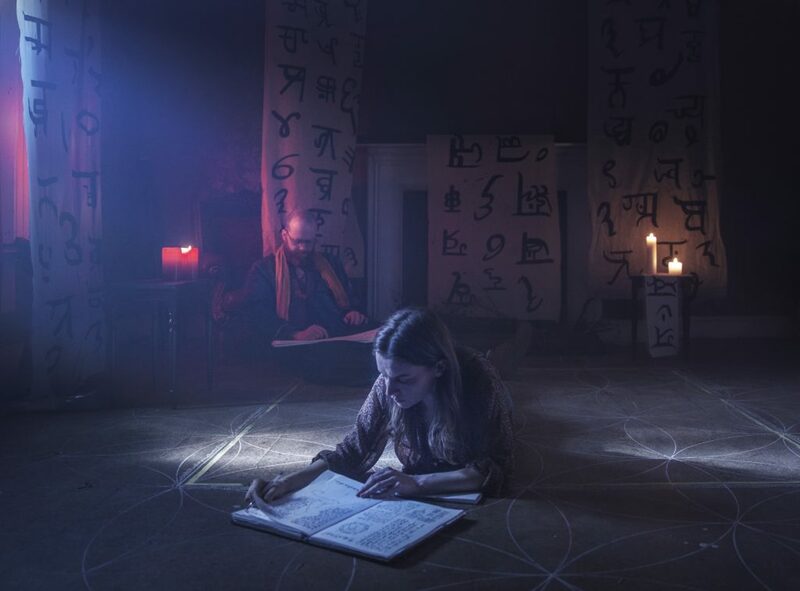 A Dark Song is the story of two people risking hell to journey through the darkness of their souls.